An unmarked van drove into pedestrians on London Bridge, striking a number of people. There also were reports of stabbings nearby. 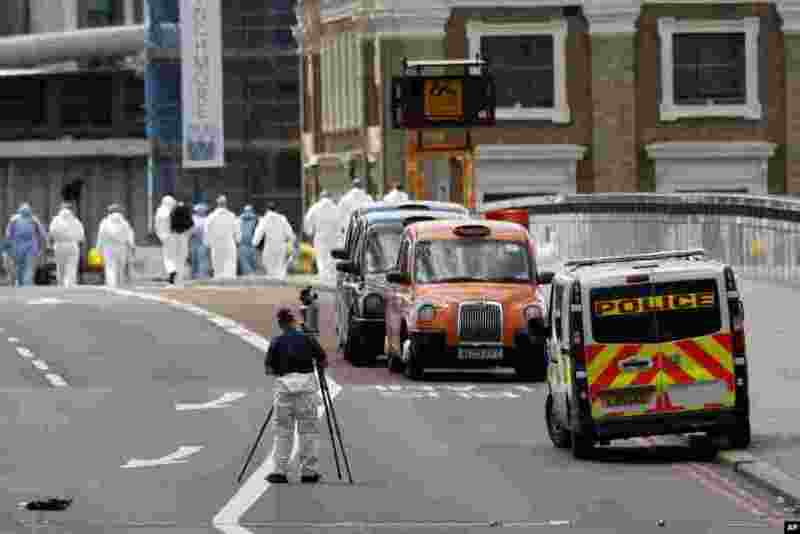 1 Forensic police work within a cordoned off area after an attack in the London Bridge area of London, June 4, 2017. 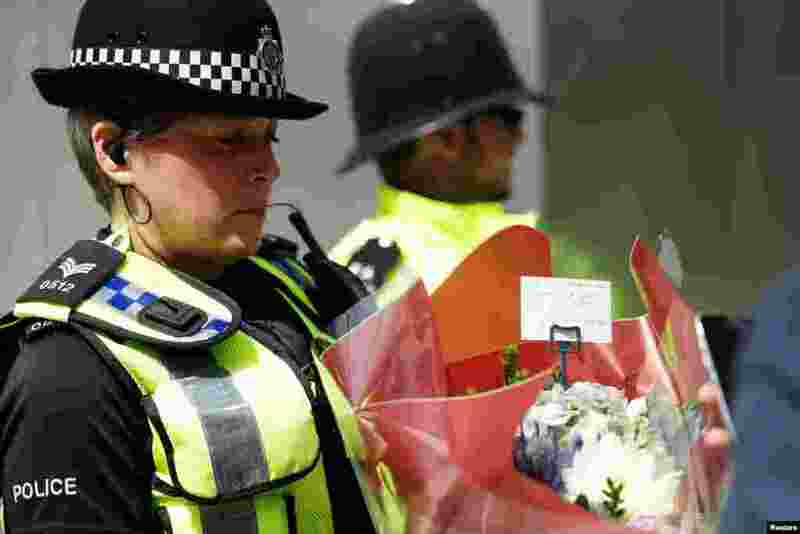 2 A police officer carries a bunch of flowers with a message of sympathy near Borough Market after an attack left 7 people dead and dozens injured in London, June 4, 2017. 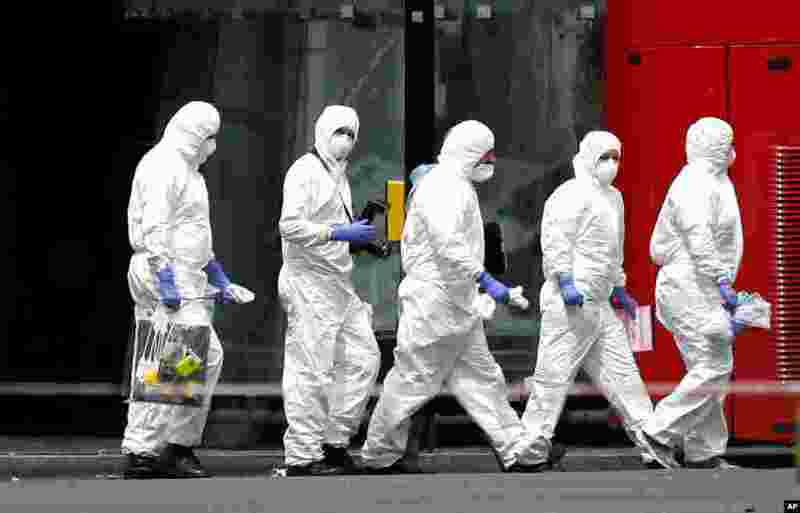 3 Police forensic investigators work outside Borough Market after an attack left 7 people dead and dozens injured in London, June 4, 2017. 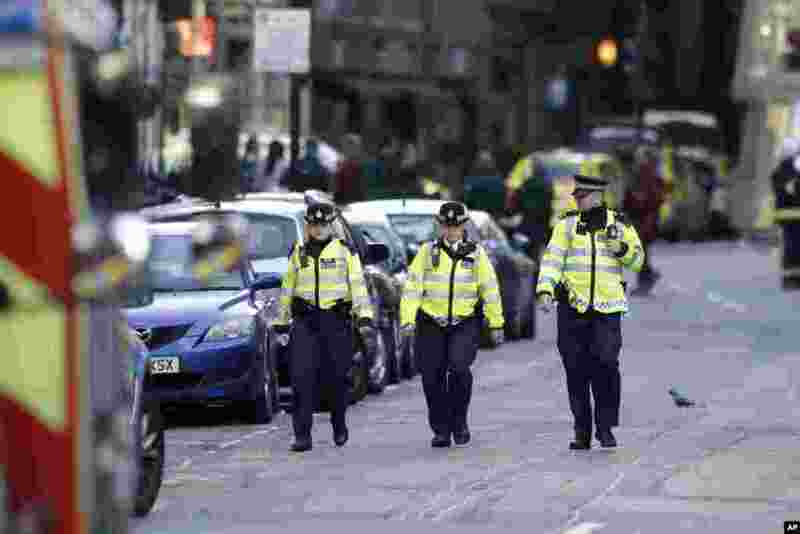 4 British police officers walk within a cordoned off area after an attack in the London Bridge area of London, June 4, 2017. Saturday night attackers killed several people in a series of vehicle and knife attacks before police shot them dead.